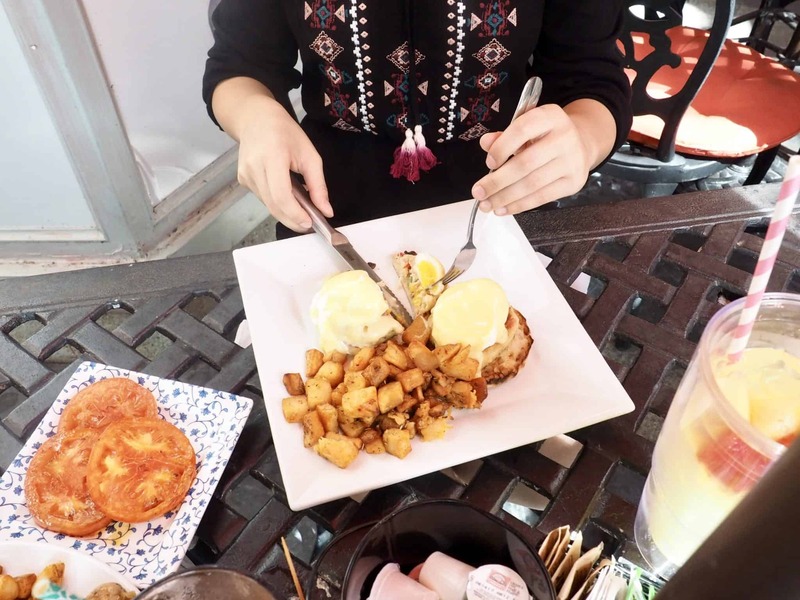 It was time to leave the Gulf Coast of Florida and head over to the Atlantic side but not without stopping in for brunch at our favourite cafe. 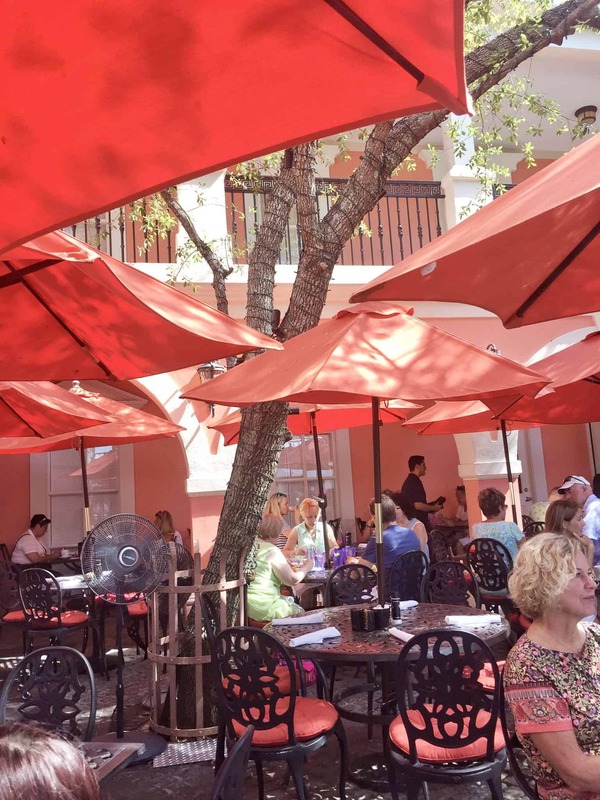 Jane’s Cafe is the premier brunch location in Naples. For all of those who know me know that Naples is our happy place. This is the first time we visited Florida without staying in Naples. 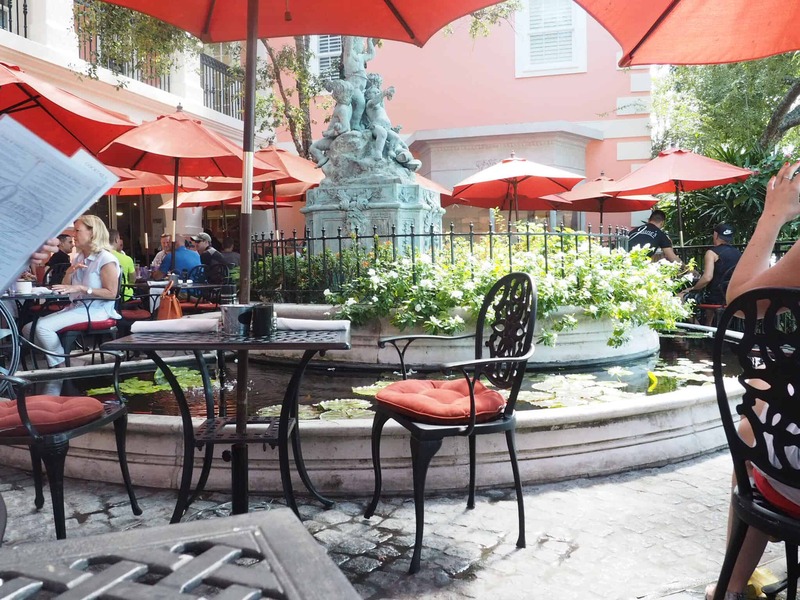 Jane’s cafe has a laid-back English garden feel that is located in the heart of Naples, on Third Street South. Jane’s Cafe offers a large all day breakfast selection where you can choose from a savoury meal or a sweet dish. All of their meals are made with the freshest products with reasonably sized portions. We were greeted by Emma, Jane’s daughter. Emma is so warm and friendly, it felt like we have known her for years. 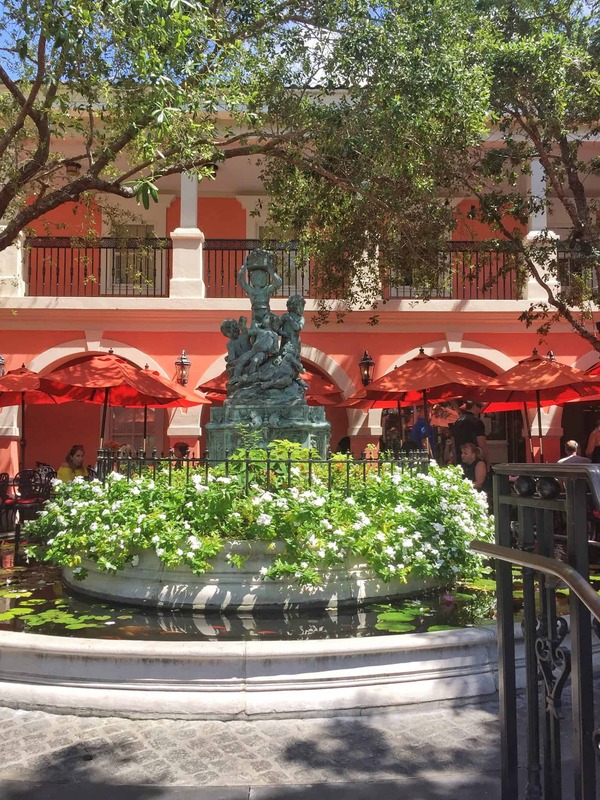 We sat in the front courtyard area that has a beautiful fountain and felt like we were sitting in a cafe in Europe. 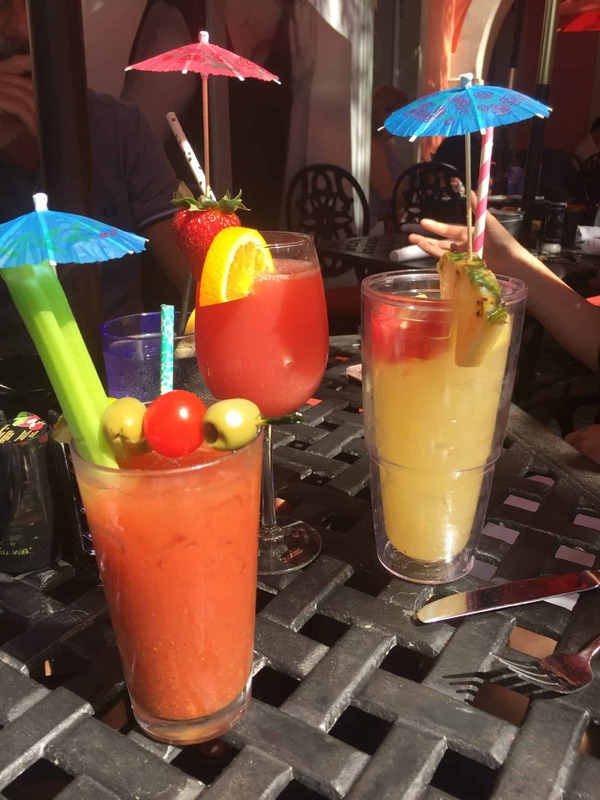 We started off with a strawberry orange mimosa, bloody mary, and a strawberry orange juice. 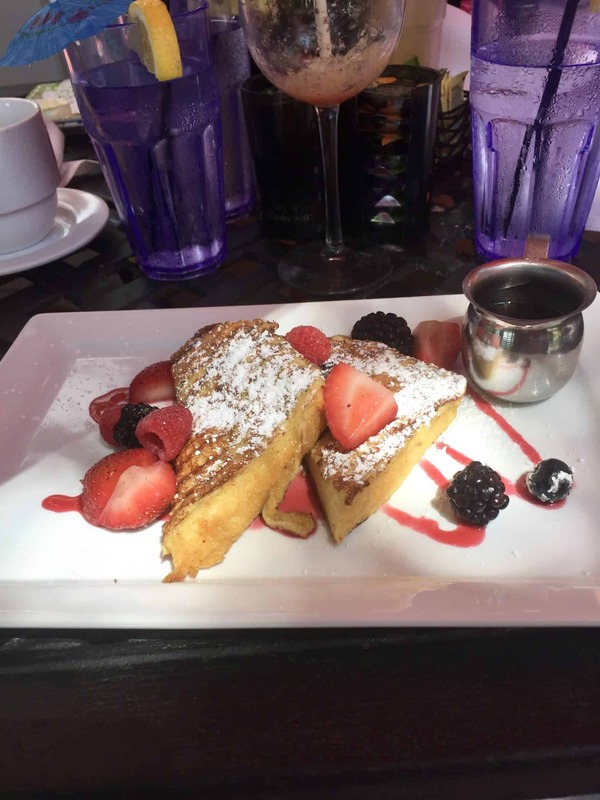 You can’t have brunch without a mimosa! We couldn’t decide between savoury or sweet so we decided to share their famous Signature French Toast. It was so delicious that I didn’t want to share. Emma warned us that it was delicious, she wasn’t kidding. It was difficult to choose from their extensive menu items as everything sounded wonderful. I usually go for the eggs Benedict but wanted to try something different. Their quiche special for the day was a lobster quiche. Since I have been on a seafood kick on our trip I had to give this a try. 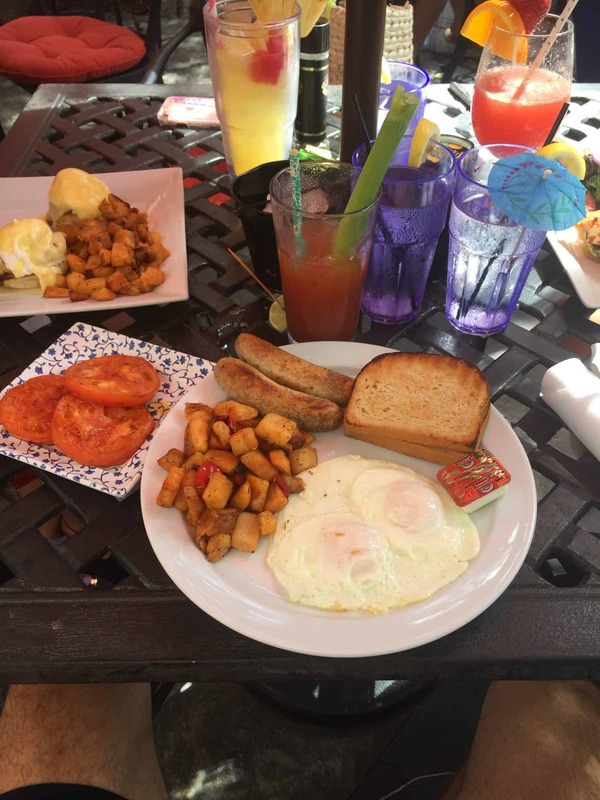 We also tried the crab cake eggs Benedict, the Canadian Bacon Benedict and the British breakfast…..yes, we were hungry. 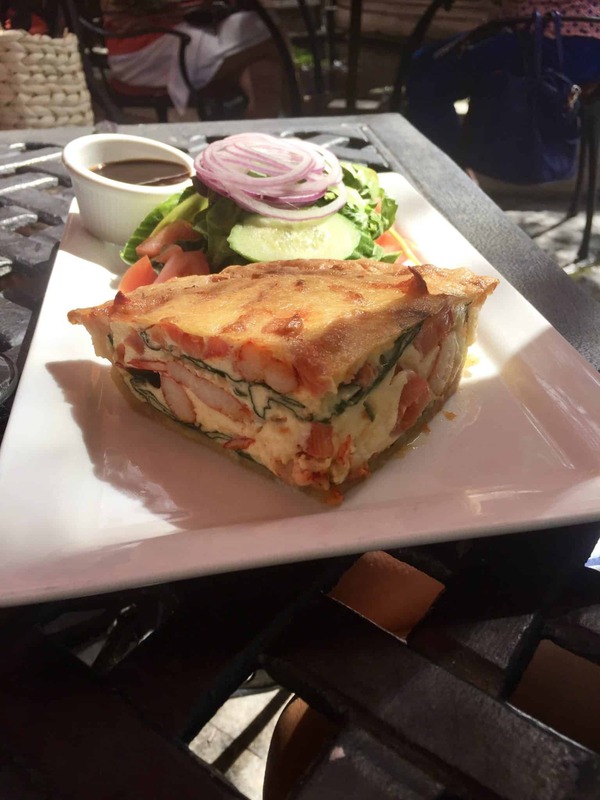 When my quiche arrived I couldn’t believe the generous serving of lobster peaking from the egg dish. This was absolutely delicious and highly recommended. They also have lighter menu items such as the organic low carb breakfast, and the Personal Trainer High Protein LoCarb. There is something for everyone. If you aren’t craving breakfast they also offer daily salads and soups on the menu. Thank you to Emma and Jane for hosting us. Your hospitality was so warm and welcoming, it was an absolute pleasure. 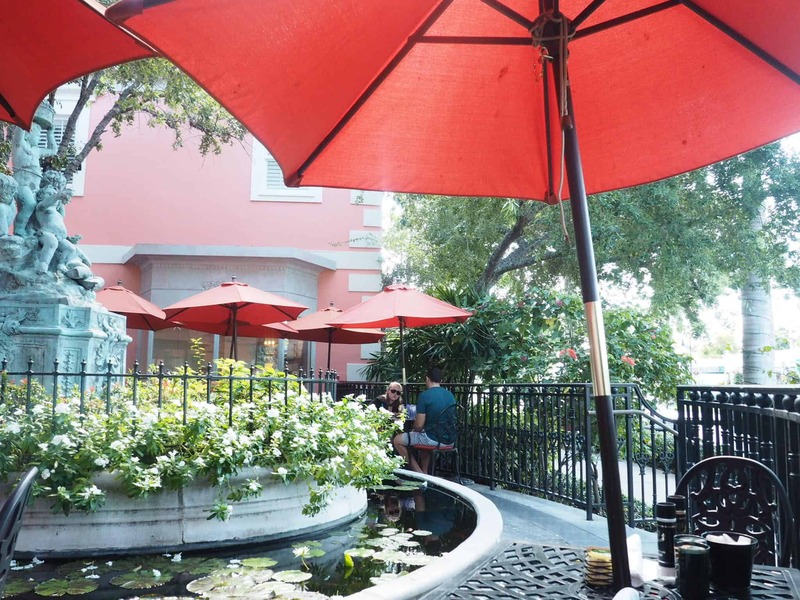 We will definitely be returning on our next visit to Naples. Make sure to check out Jane’s Garden Cafe on 3rd St and visit their drool-worthy Instagram page. Although we were guests of the Jane’s Cafe, these opinions are entirely my own. Oh gosh that French toast looks heavenly. I wish I were in Naples, too! I love the coloring of this place! It exudes bright and happy feels! Not to mention their food and drinks look exquisite! I’d devour that french toast in seconds!